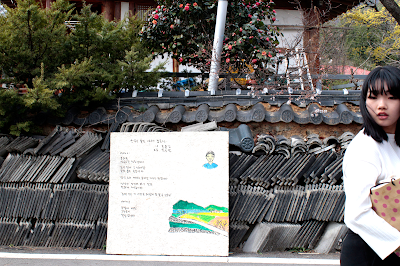 There's a wave of the last cold snap in Seoul even though March has come. Well, here comes tidings of flowers from the southern regions. I treated myself to welcome spring flower in this time. Let’s Go. Far away! 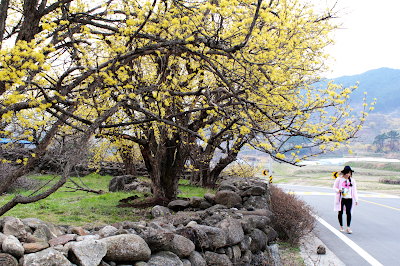 I went to Gurye Sansuyu(Cornelian cherries) Village, beckoning to me at the foot of Mt. Jiri. I left home early in the morning to take the sightseeing bus starting at 7 o'clock, because it is so quite far distance from Seoul that I hoped to go and return on the same day. I am a travel enthusiast! Gurye Sansuyu Village is a small one at the foot of Mt. Jiri, Jeolla Province, which is 4hours distance by bus from Seoul. Mt. 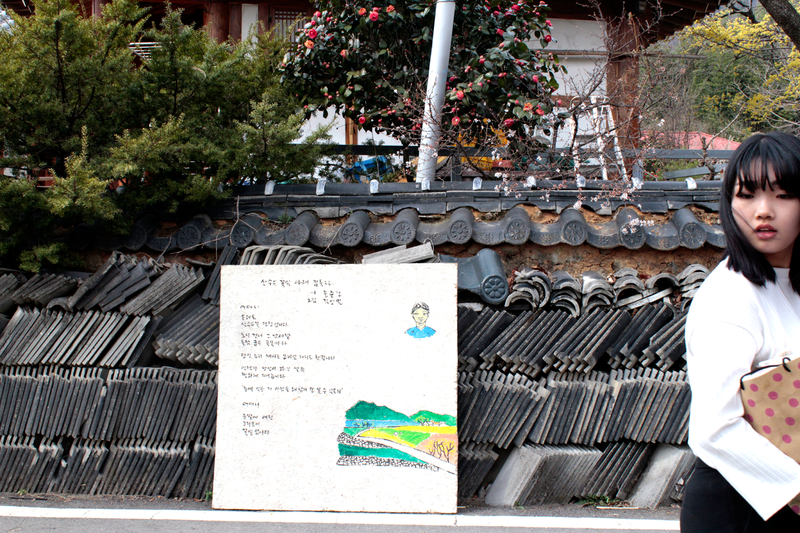 Jiri is a typical mountain that evokes a special emotion to Koreans, and it is also a regular writing material for many literary works. 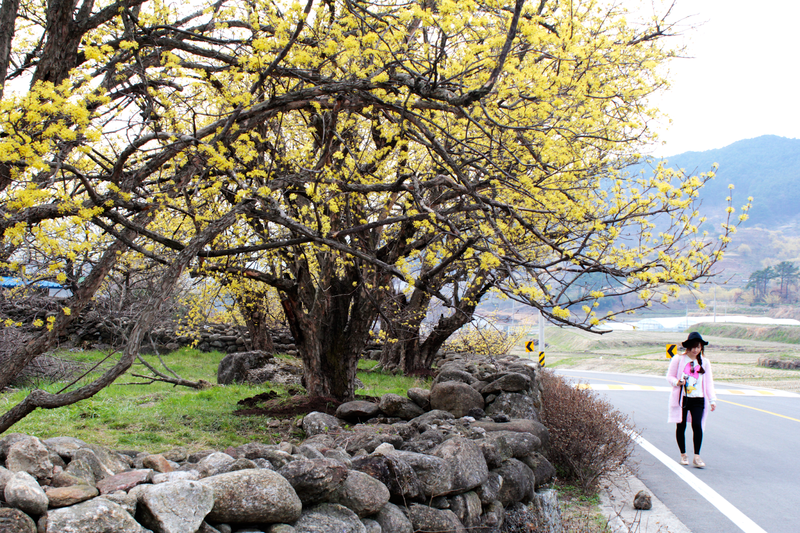 Deep-yellow color flower of Cornelian cherries trees beside the old stone wall alley exceeded my height. The average age of trees in this village is usually over 100 years old, it is said. This tree is also known so-called 'university wood'. 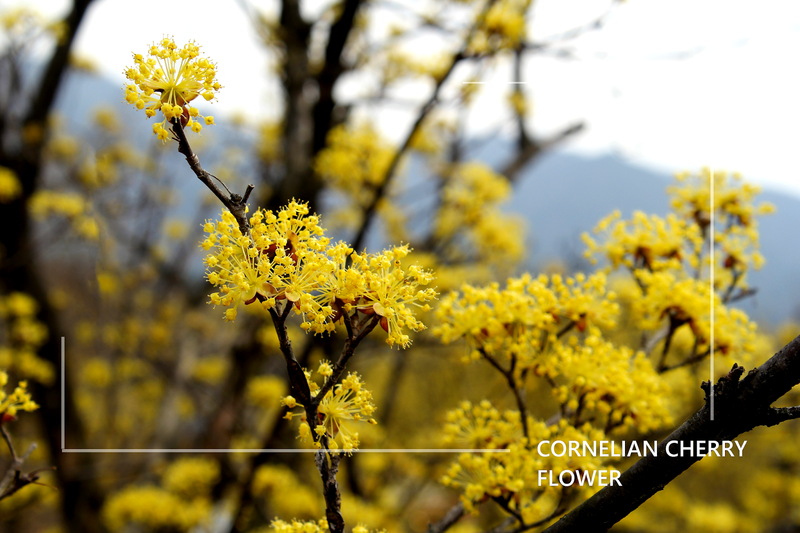 The fruits and bark, branches are used as herbal medicines, tea and other purposes. It is sold so expensive that it greatly contributes to educate children even if there are only three trees. This quick-tempered one blooms the flowers first before are in leaf, and was greeting the spring more actively than I did. As walking through the village, I came across the beautiful poems written by the poet who birthed and grown up in here and romantic emotion was added in me. 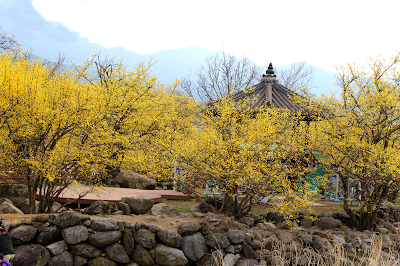 What is called the village where poet lives and chockfull of intense yellow flowers! My mind was instantly disarmed. I move the poem called 'Petal' for a while. If I talk to a flower, My voice becomes petals." FACT: Flower blooms in the beginning of March to early-April and the fruit is picked in autumn. Floral language is everlasting love. So, people gave it to their lover as a sign of love. It is produced more than 70% of harvest in the whole country. It tastes a little sweet, bitter and strong sour.